When a furious and frightening storm threatened my peaceful Florida paradise I was reminded we are never in control of anything. The best we humans can do is give the intruder a name like Matthew, and flee or hunker down. Having lived a long time, I remember many storms. But with today’s eclectic means of communication, a hurricane is a lot like the current presidential race - wild, scary and unpredictable. With the election churning in my stomach along with the storm, turning inward to more innocent times was a good way to refocus. From Key Largo to Key West, the Atlantic Ocean and Gulf of Mexico mate like two sea monsters breeding beneath the straight flat overseas highway. When the great blue heron spots me hurtling toward him in my little Fiat Spider, he rises like the Phoenix from the shimmering heat of the deserted highway. With his massive wingspan, this largest of wading birds flashes a bright yellow eye at me and heads gracefully for the safety of the Everglades. All the locals knew Carlos and his wife Betty, and they knew everyone else. They were as much a part of Key West lore as the famous writers, actors and artists who made the place their home. The couple ran a restaurant-cafe on Duval Street, and a motel and conch shack on the beach. When you opened the creaky screen door you might get a grunt or nod. Friends stayed free, and noisy volley ball games brought in local inhabitants, itinerant beach bums and celebrities like Warren Beatty and Natalie Wood. On the other hand, when soft-spoken Tennessee Williams was in town you might see him at Carlos’ cafe, seated behind a potted palm, where he could drink and write and not have to talk to anyone. I never understood how others could drink and write, but some of the best of them did and still do. It was in Key West that Tennessee finished “A Streetcar Named Desire.” Despite all his success, it was alcohol that killed him. The small wood frame house he bought is still here and so is his legacy. Earl Johnson was the last member of the Watlington family to live in The Oldest House at 322 Duval Street. Originally owned by a sea captain in the 19th century, the house survived fires, the Civil War and hurricanes. Always referred to as The Oldest House, it is now part of the island’s Restoration Foundation with sea faring artifacts, local lore and ghosts of whaling captains and their wailing widows. A dilapidated shack stood behind The Oldest House, until Earl decided to clean it out and open it to local jazz musicians. The Conchs, original settlers who came from the Bahamas, will tell you the place is haunted. A former slave quarters and cook house, Earl made it the place for Key West musicians to gather at night after their clubs had closed. Inspired and spontaneous, the musicians would trickle in and play their instruments into the wee morning hours. If you're in semi-conscious awareness, you might feel a breeze - or even see the fleeting presence of an original inhabitant, whose soulful spirituals gave birth to the Blues and American Jazz. Though she always made light of it, Betty had her hands full with Carlos because he had no head for business. On New Year’s Eve their featured entertainer ran off with the bartender. No one knew why the couple picked the busiest night of the year to commit this heinous crime, but it was a potential disaster. 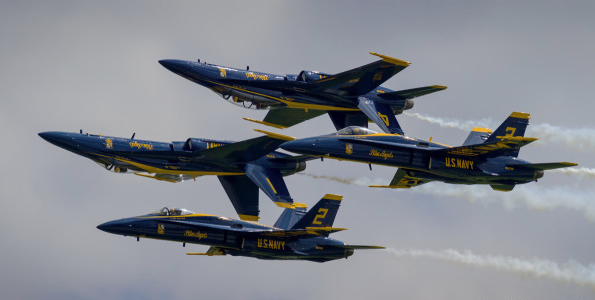 In those days Key West’s Naval Air Station was home to the U.S. Navy’s Blue Angels. Carlos depended upon the aviators to bring in revenue to make up for his failing enterprises, which were failing because so many artists and musicians were boarding free! A dead-wringer for Desi Arnaz, Carlos’ rapid-fire Cuban Spanish sounded just like Desi, particularly when he was stressed. Calm and cool, Tennessee knew a lot about bar stuff so he offered to help Carlos make the simple syrup while Earl Johnson polished glasses and set out the annual white table clothes. Around 11 o’clock Betty waltzed in with a Dorothy Provine look-a-like who claimed she could sing and dance “just as good as that actress from Deadwood, South Dakota.” Well, she couldn’t. But by midnight those breathtaking, dazzling, daring young men in their flying machines didn’t know the difference and neither did anyone else — and there are no footnotes to this memoir.